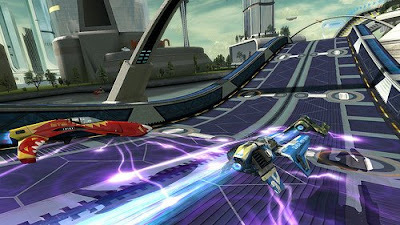 As reported on the PlayStation blog, WipEout HD will be launching on Thursday, September 25th and downloadable via the PSN for just $19.99. This popular racing title comes to the PS3 with nextgen features which includes FULL HD 1080P resolution, SIXAXIS motion steering and trophy support. I've been waiting for this game since they first announced it's June release date. This is one of the best racing series ever, I can't wait to get my hands on it.